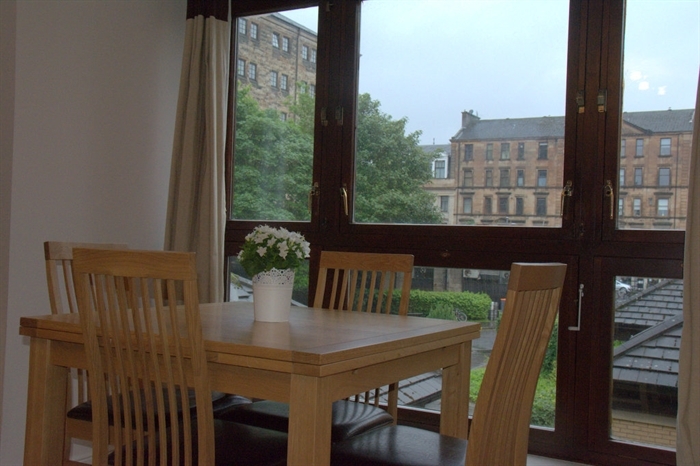 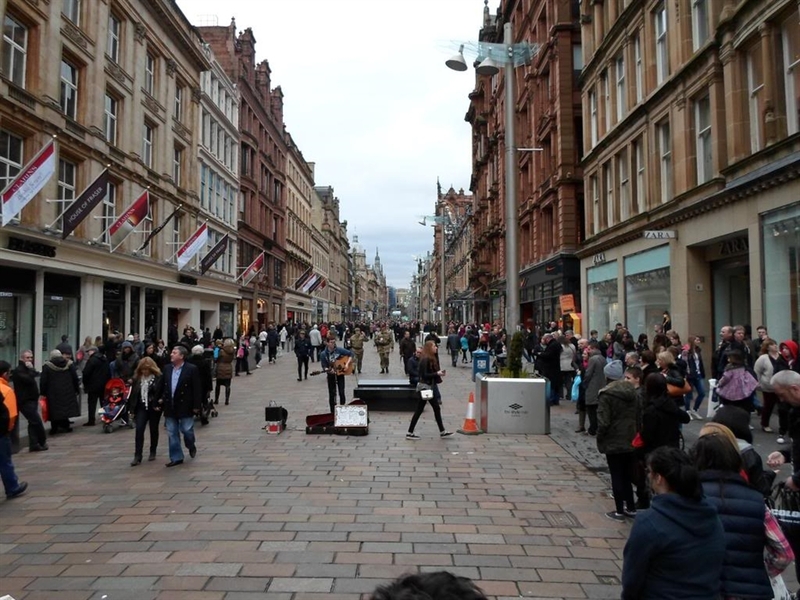 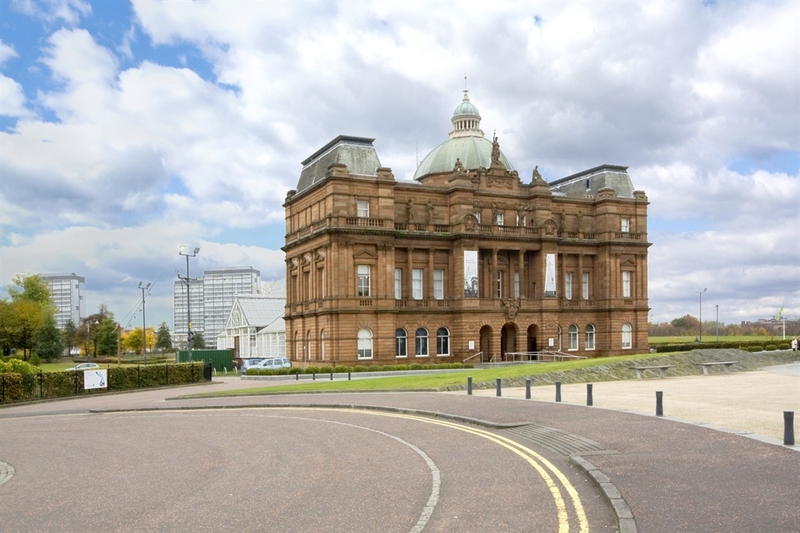 Set in the Heart of Glasgow city centre, with easy access to transport links. 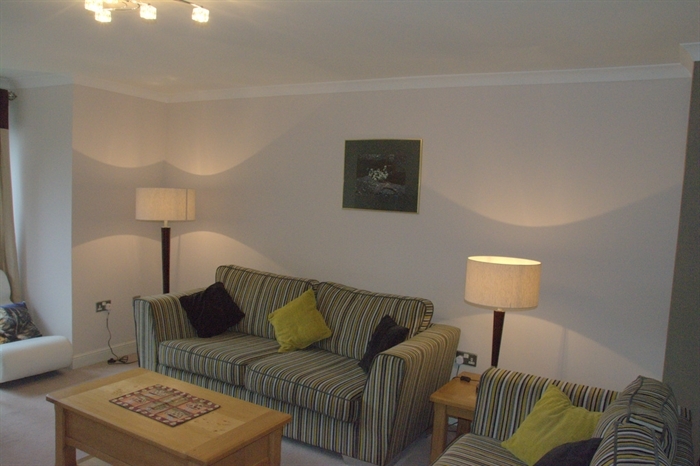 All the modern amenities that you would expect plus luxury kitchen appliances, 42" LED TV, DVD and very fast Wi-Fi. 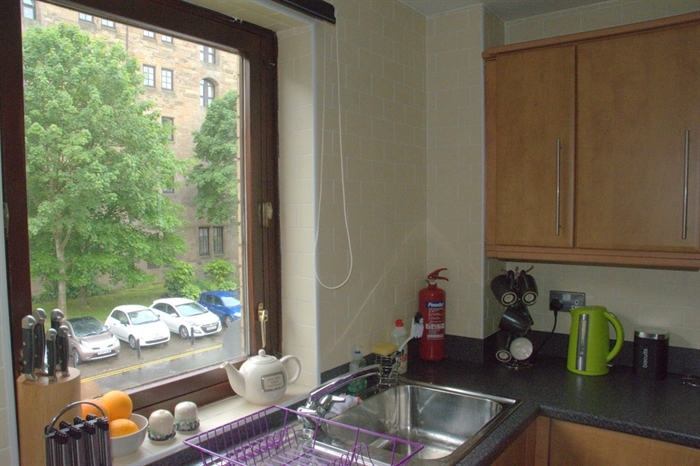 This is a comfortable, two bedroom apartment for 4 in a residential spot, yet in the heart of Glasgow, with secure underground parking, just on the edge of the 'Merchant City'. 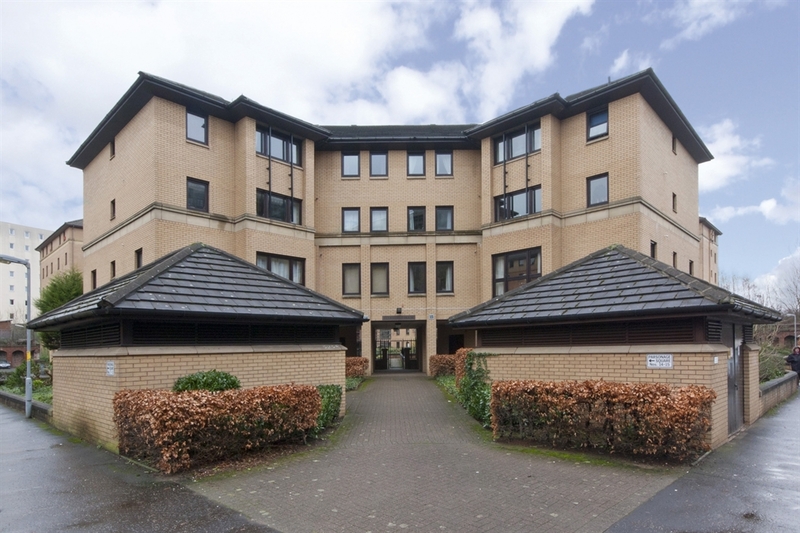 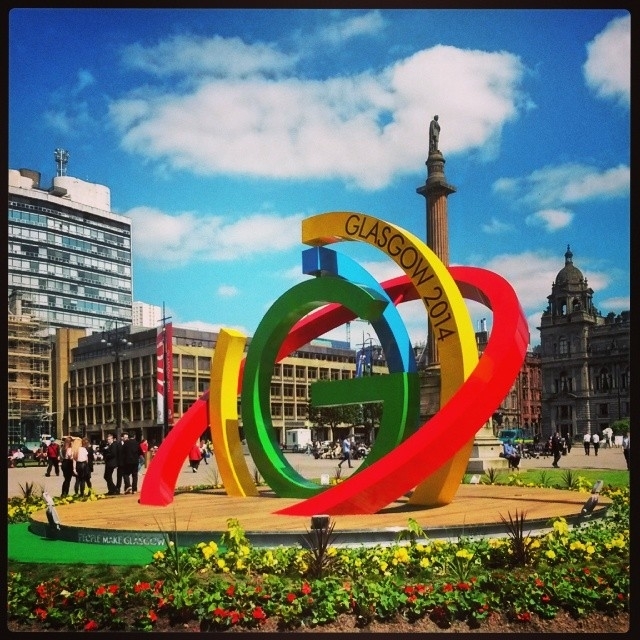 By staying in this modern, first-floor apartment you will be in a prime position to take full advantage of Glasgow's many amenities and transport links, not to mention the Commonwealth Games venues, many of which are close by. 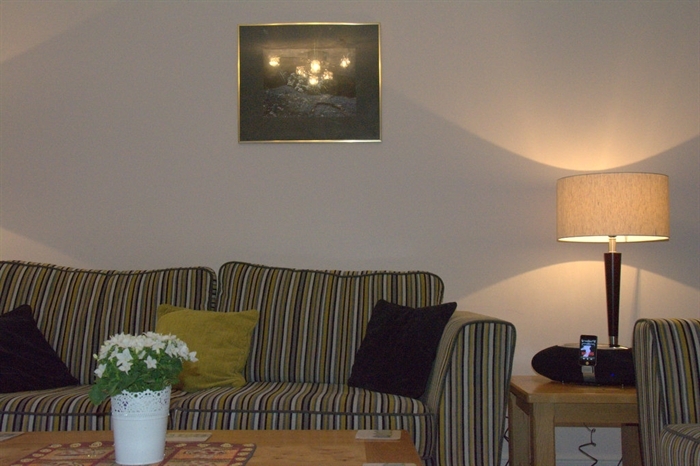 Secure, on-site, allocated parking is available, if booked. 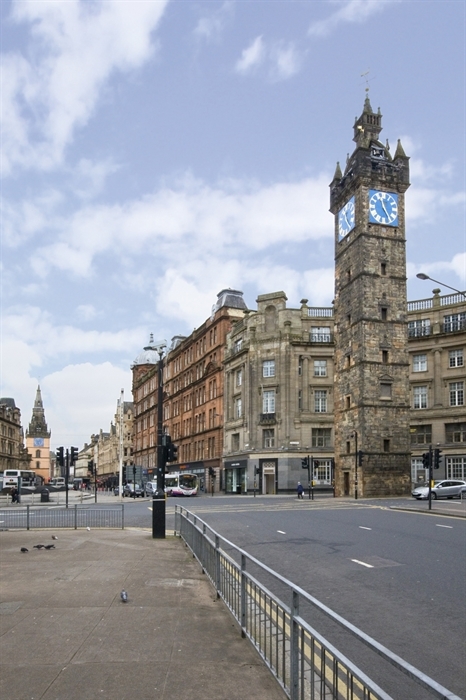 However, with shops, bars, restaurants, a theatre and High Street railway station only 5 minutes away, you may wish to leave the car at home! 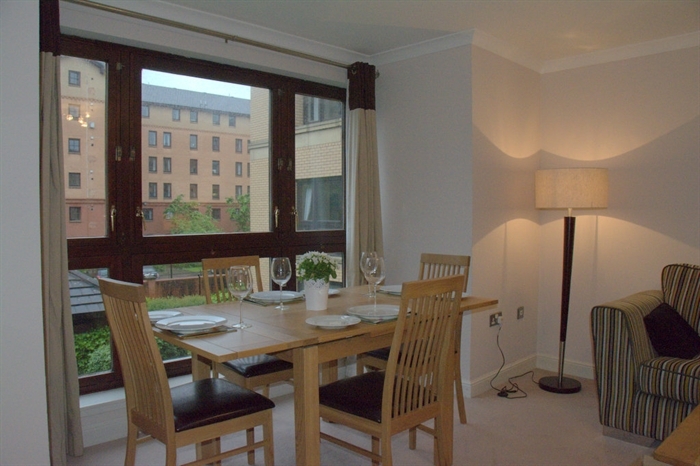 The apartment comprises: an entrance hallway, a spacious, bright lounge/diner with views towards the bustling High Street. 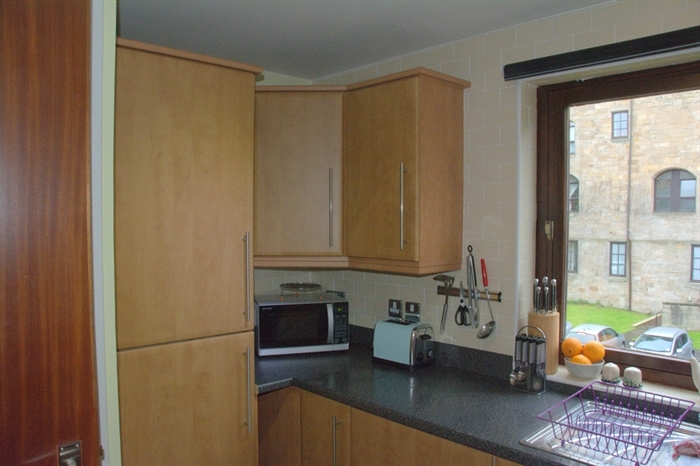 The kitchen, off the lounge, has an integrated double oven, electric induction hob, 'Bosch' extractor hood, dishwasher, fridge/freezer and washer/dryer. 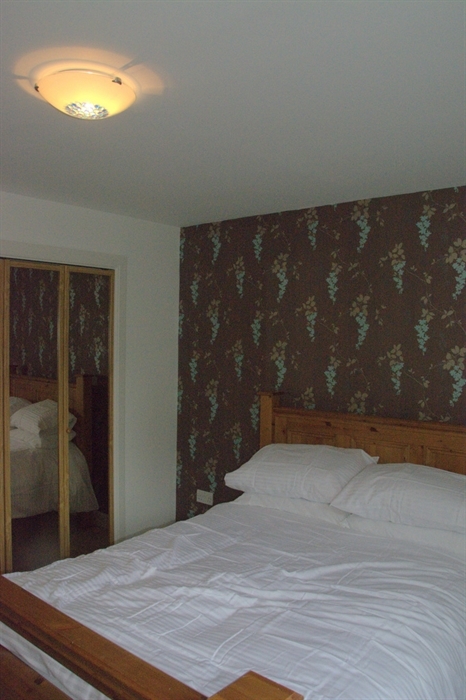 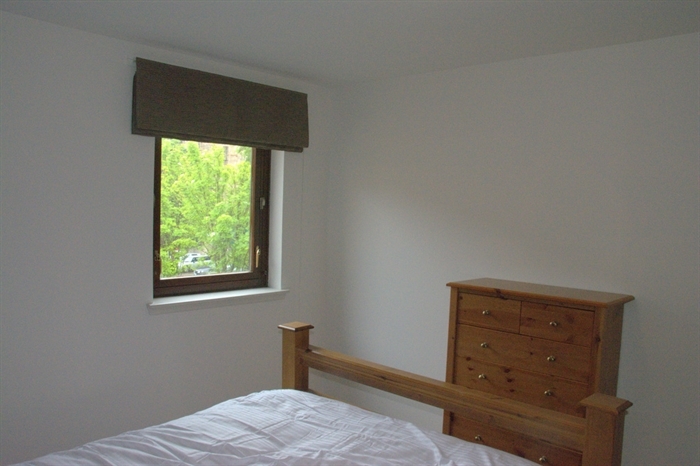 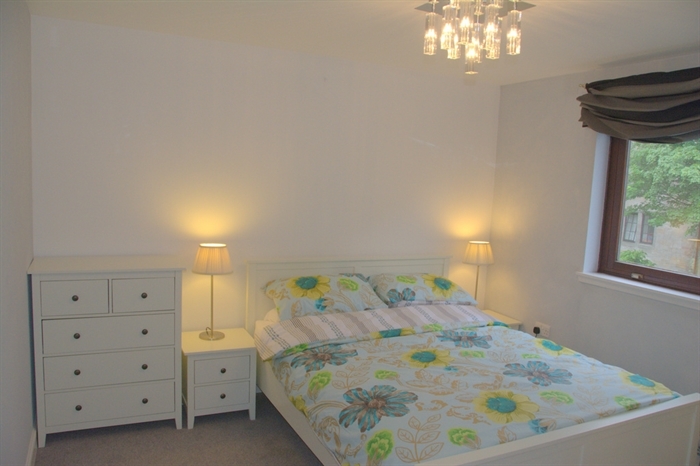 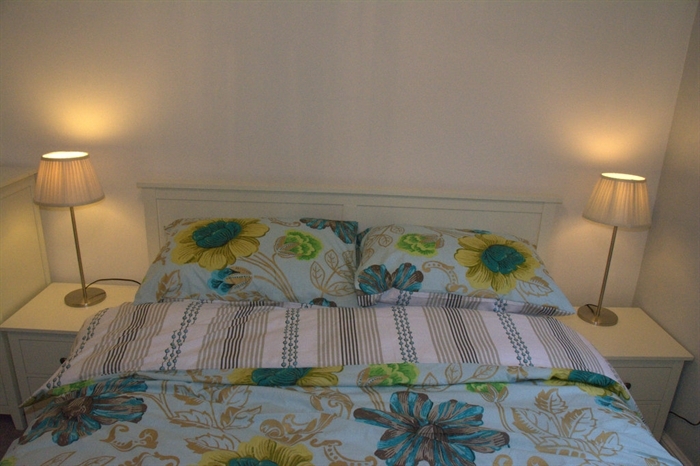 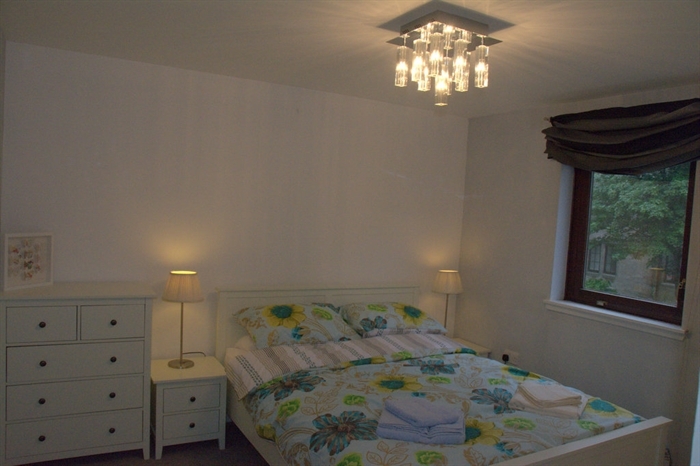 There are two comfortable double bedrooms, both with fitted wardrobes. 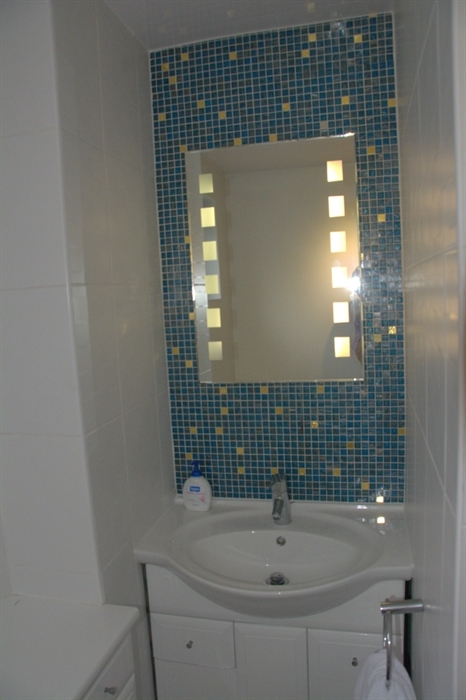 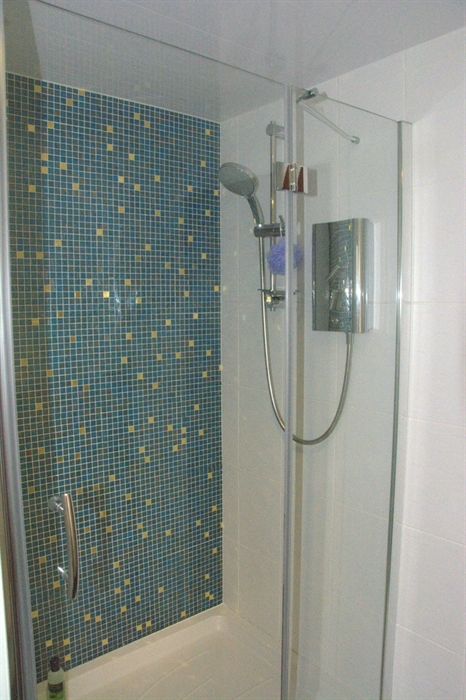 A contemporary, attractive shower-room completes the accommodation. 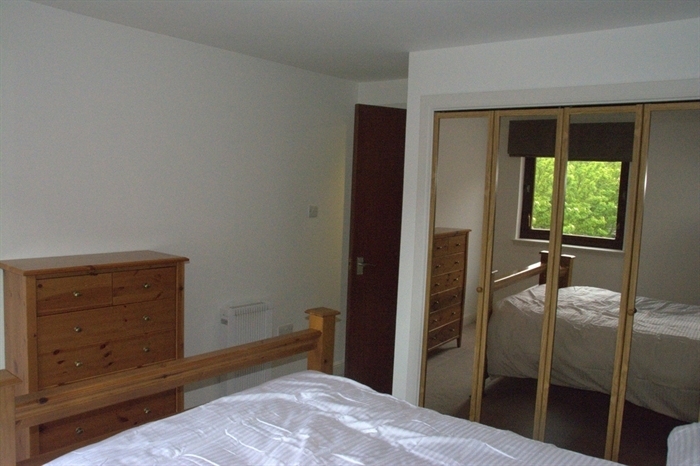 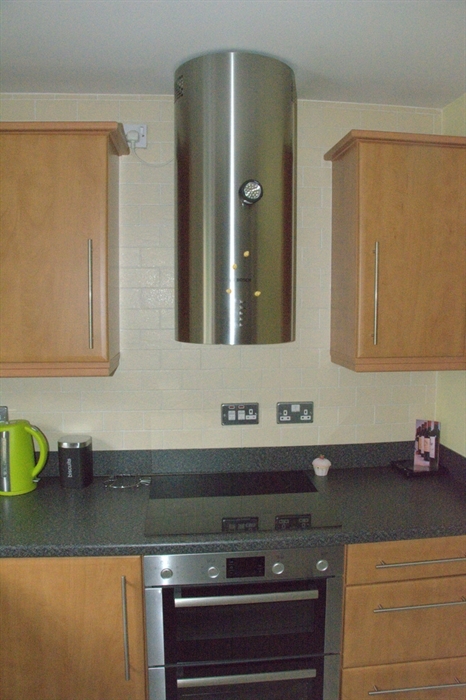 The apartment also benefits from electric heating, double glazing and a security entrance system.